If you haven’t been to Theatre Under the Stars, you’re missing a real Vancouver treat. Every summer the company presents two shows at Malkin Bowl in Stanley Park. It combines culture and nature just as well as this fabulous city we call home does. This year Legally Blonde is returning after an immensely popular run last year. We saw it – it’s fantastic. Families, though, will really want to take note of Shrek: The Musical. Here at VancouverMom.ca we are thrilled to be teaming up with Theatre Under the Stars for a fabulous, family-friendly Vancouver giveaway. 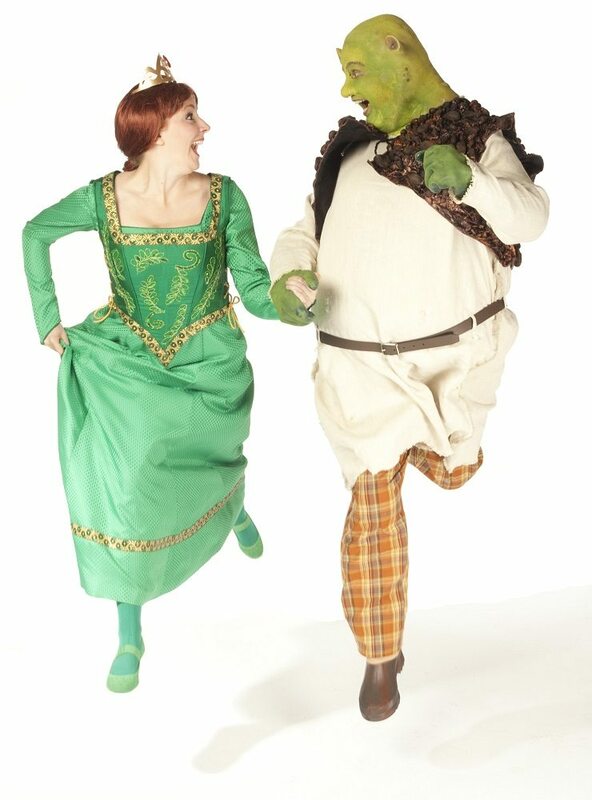 Shrek (played by Matt Palmer) and Fiona (played by Lindsay Warnock) will take to the stage in this modern fairy tale. Joined by their loyal steed Donkey, the diminutive Lord Farquaad, and a gang of misfits, they’ll present the must-see musical comedy of the summer surrounded by Stanley Park’s serene beauty. The fun kicks off on July 11, 2014, and then runs alternate nights through August 22, 2014. Tickets range from $20 to $45, and if you want to make sure that you’re dry while watching the show, you can purchase rain insurance for an extra $5. Or you can enter our fabulous giveaway for a family four pack of tickets to the August 8, 2014 show, plus a $50 gift card for White Spot. The total value is $200. You also get a backstage meet and greet with the cast, which is priceless. So how do you enter this fantastic giveaway? Contest runs until July 6, 2014 at 11:59pm. The winner will be selected and contacted by email. If the winner doesn’t claim the prize within 72 hours, another name will be selected. The tickets are for the August 8, 2014 show, but there is some flexibility if this date doesn’t work for you. *VancouverMom.ca is a division of Crisp Media, 69-1690 Nanaimo St., Vancouver, BC V5L 5E2, crispmedia.ca. Note that you can unsubscribe from our mail list at any time.